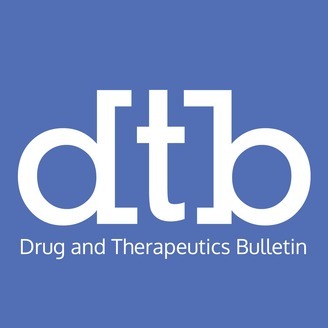 For 50 years, Drug and Therapeutics Bulletin (DTB) has provided rigorous and independent evaluations of, and practical advice on, individual treatments and the overall management of disease for doctors, pharmacists and other healthcare professionals. 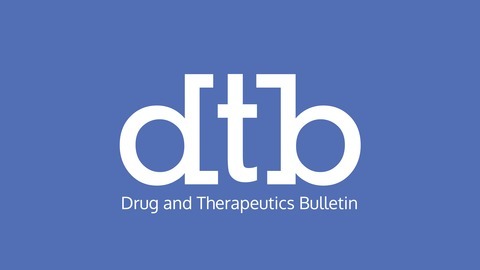 DTB has always been wholly independent of the pharmaceutical industry, Government and regulatory authorities. DTB is also free of advertising and other forms of commercial sponsorship. * The purpose of this podcast is to educate and to inform. The content of this podcast does not constitute medical advice and it is not intended to function as a substitute for a healthcare practitioner’s judgement, patient care or treatment. The views expressed by contributors are those of the speakers. BMJ does not endorse any views or recommendations discussed or expressed on this podcast. Listeners should also be aware that professionals in the field may have different opinions. By listening to this podcast, listeners agree not to use its content as the basis for their own medical treatment or for the medical treatment of others. In April's podcast, James Cave (DTB Editor-in-Chief) and David Phizackerley (DTB Deputy Editor) highlight some of the challenges of prescribing direct acting oral anticoagulant (DOAC) drugs for people with renal impairment. The editors also talk about the use of saline nasal irrigation and discuss central sensitisation syndrome. Read the issue online: https://dtb.bmj.com/content/57/4.